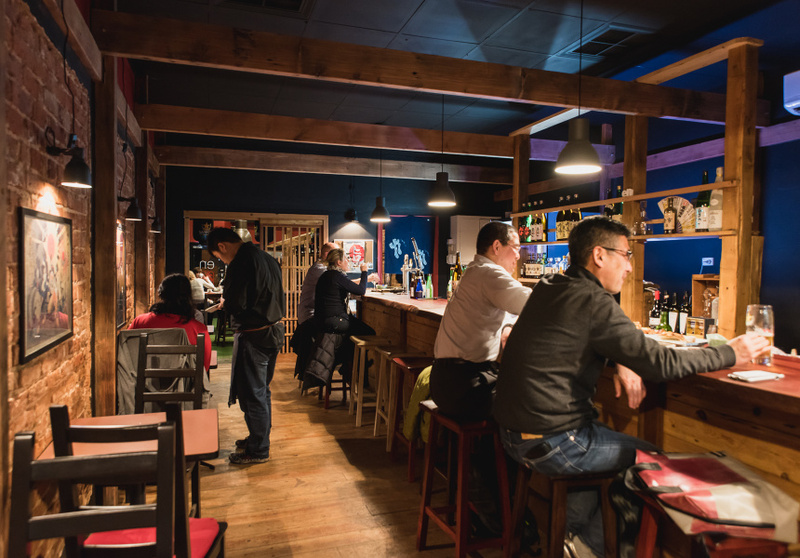 En Japanese Bar and Restaurant is not a true izakaya (a style of Japanese bar where food is ordered tapas style to accompany rounds of drinks). This is evidenced by families in the front room who feast on plates of teriyaki chicken and pork katsu while – maybe – ordering a beer to go with dinner. 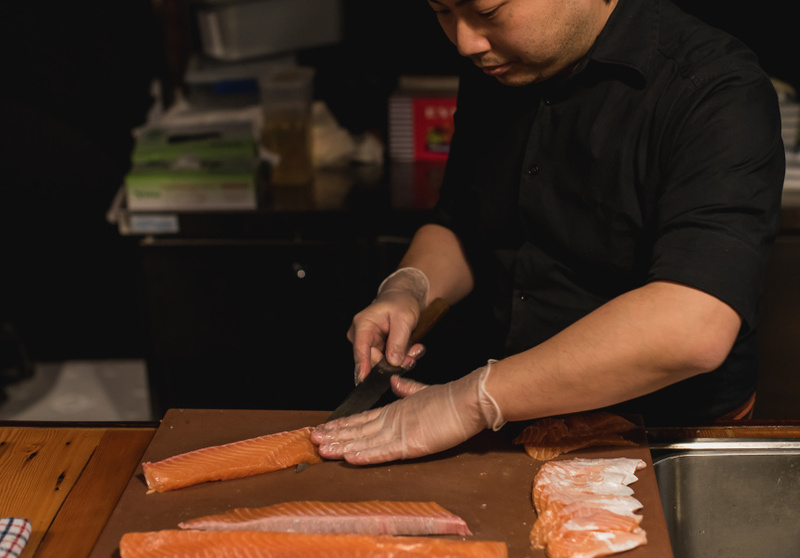 It’s the reason En’s owners decided to be more fluid with the concept, blending what a Japanese izakaya is and what Adelaide thinks a Japanese restaurant should be. While dishes such as the takoyaki octopus balls or the oba cheese fry are true to the dining style of traditional izakayas, larger main meals were introduced to satiate those looking for more of a standard restaurant experience. When you head out back the atmosphere changes. Lights are dimmed and the music is a little louder. 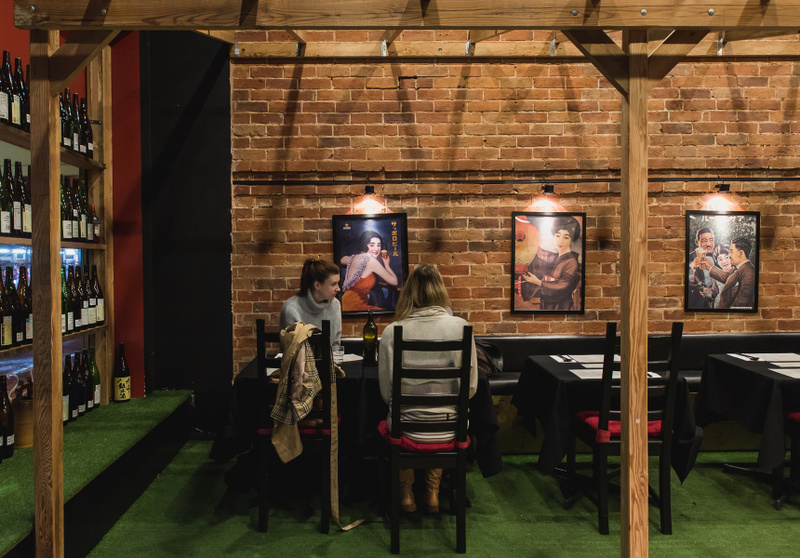 The back wall – adorned with vintage Japanese beer advertisements – is lined with tables for two, but the best seat is at the bar. The sake collection offers the best of every price point, while the bar also stocks a collection of Japanese beers, whiskies and the lesser-known Japanese liquor, shochu. Sitting close to the action allows you to learn more about the less familiar drops while you eat fresh sashimi and crisp lotus root chips.